OLD PARKED CARS. 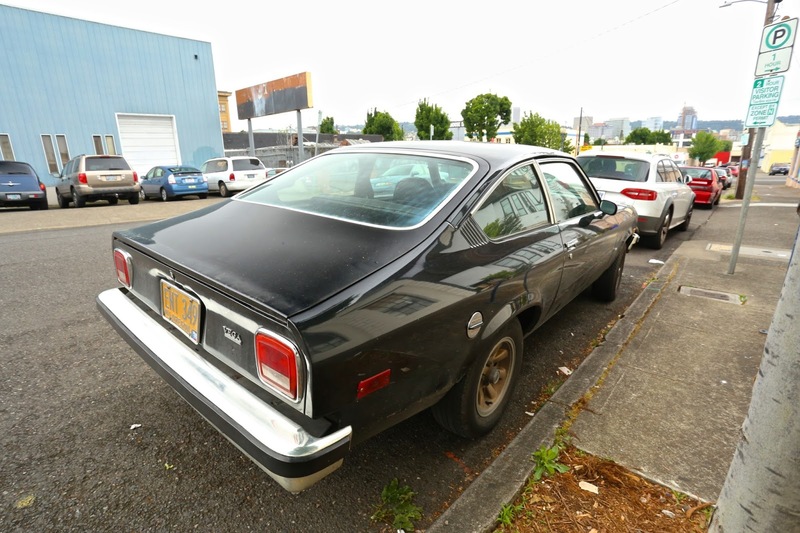 : 1975 Chevrolet Vega. Is that a Cosworth or just done up as a Cosworth wannabe? I was riding my bike today and rode past a guy driving a 1970 El Camino and I gave a thumbs up, except people don't expect someone riding a road bike to like old cars lol. Wondering the same thing as Mike. 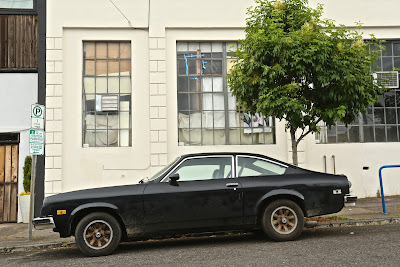 Real Mccoy Cosworth or a knock off "tribute"? looks like a turd. the only neat thing about these was the innovative rail shipping method GM employed to distribute them. i remember seeing one in some sort of drab green color, all by its lonesome in a dimly-lit strip mall lot. the owner either worked at the comic book store or the head shop nearby, equally telling of the type of person still operating these today. even in cosworth form, keeping one must be a labor of love and a form of masochism on the level of that sect of flagellate monks; you will toil endlessly, you won't be enjoying the process and you definitely won't be getting laid either. 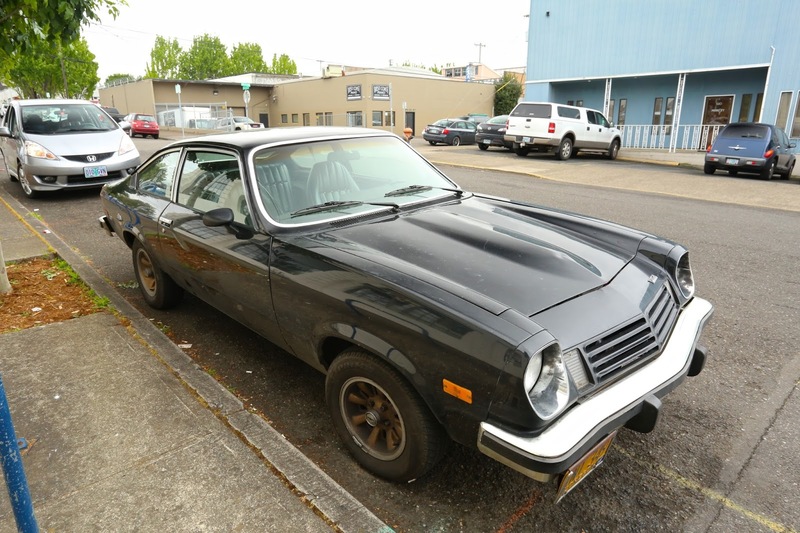 The wheels and the black body color do say "Cosworth Vega", so perhaps the decals were removed?